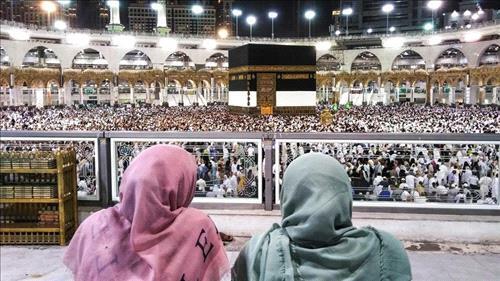 AMMONNEWS - Under the instructions of the Ministry of Haj and Umrah, an app was tested this Hajj season to know the best time pilgrims wished to perform tawaf Al-Ifada, according to Makkah daily newspaper on Tuesday. Tawaf Al-Ifada is the last formal rite of Hajj, in which pilgrims visit the holy Kaaba for the farewell circumambulation. This new step was aimed at organizing the grouping of the pilgrims to go to the Grand Mosque for tawaf Al-Ifada. Tariq Anqawi, chairman of the tawafa establishment for the Muslims from Turkey, Europe, America and Australia, said the wishes of the pilgrims were entered into the app long before their arrival in the Kingdom. "The wishes were conveyed to the Ministry of Haj and Umrah to consider and approve," he added. He said the grouping of pilgrims for the tawaf Al-Ifada was this year included in the 12 grouping stages. "This new app. will help the mutawifeen know the time their pilgrims prefer to go to the Grand Mosque for tawaf Al-Ifada," he said. Anqawi said the ministry would take these wishes into consideration when approving the timings for the tawaf Al-Ifada which follows the stoning of the Satan and the other rituals in Mina on the first Eid Al-Adha day. Mohammed Amin Anderqairi, chairman of the tawafa establishment for Southeast Asia pilgrims, said the tawafa establishments will be committed to the grouping schedules formulated by the ministry but will try to answer the wishes of the pilgrims as much as possible. He said the pilgrims would enter their wishes in the app long before they arrive in the Kingdom so as to be forwarded to the ministry for necessary action. "The new system will answer the wishes of the pilgrims and will at the same time help in organizing the grouping procedures," he added.